The Kondana caves are situated in a village named Kondana which is 33km north of Lonavela. 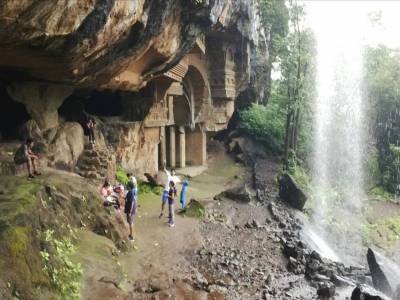 The caves are located near the Karjat region in Raigad District of the state of Maharashtra, India. It is a cave group consisting of sixteen Buddhist caves. Moulded by the delicate and intricate carvings of Buddhist architecture, it was as early as in the 1st century BC that these caves were first excavated. The construction is made following a wooden pattern which very easily catches the eye. The cave can be easily reached by descending from the Rajmachi village. An earthquake in the year 1900 did damage some portions of the cave but still the cave is definitely worth watching and visiting. 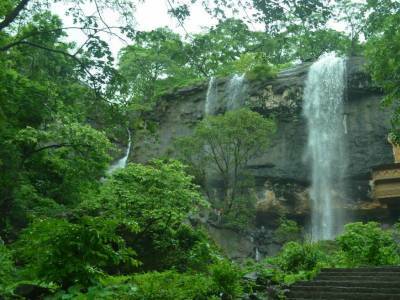 The sparkling waterfalls nearby further enhances the beauty and grandeur of these caves. Particularly during the monsoons, the pristine waters are seen descending from the cave top and the sight is truly one to behold that can or rather is sure to captivate any viewer. The lush greenery around further takes this beauty to a different level altogether. These caves were predominantly utilized by the Buddhist monks for meditation purposes. 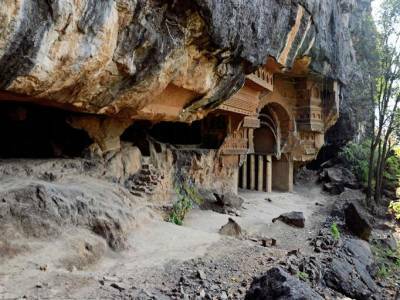 An enthralling construction in every right, the Kondana caves speaks off and testifies the great architectural brilliance of contemporary India. 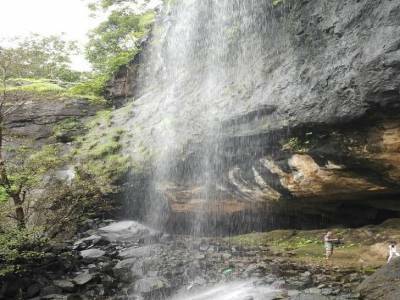 The trekking up to the Kondana caves is a gentle and pleasant one amidst the beautiful natural surroundings and is ideally suited for any trekker to begin one’s journey as a new trekker. Kondana caves stands right up there amongst the best mountain caves in the whole of Maharashtra. 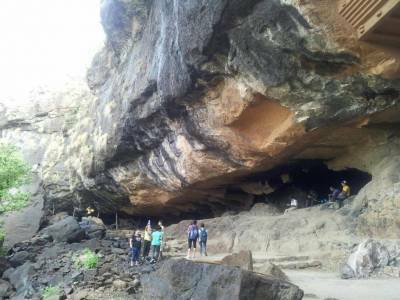 Although the cave is open for visit for travelers and tourists throughout the year, June to December is the most conducive time for visiting these caves for the weather remains perfectly soothing compared to other times of the year thereby enabling the visitors to have a gem of a time travelling. Get quick answers from travelers who visit to Kondana Caves.